I went to the SONG-HD workshop yesterday afternoon along with a number of other clinicians, researchers, and joined by several patients and caregivers, to discuss clinically relevant outcomes in dialysis. This is a multinational collaboration designed to examine what matters to these different groups, and, as a corollary, which of these things can be measured. This is a study in progress, but it will be very interesting to see how this progresses, and how it changes our metrics for what we consider to be important. 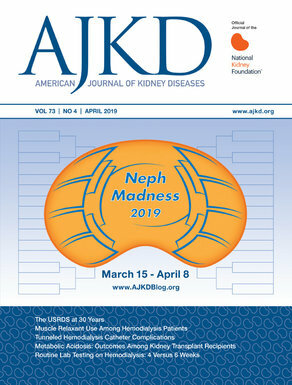 Post by Dr. Dena Rifkin, Feature Editor for AJKD’s In a Few Words. Check out all of AJKD Blog’s coverage of Kidney Week 2015! Also, follow @AJKDblog on Twitter for live updates!